Hey! We're excited to hear what you have to say. Coffee is one of the most absorbent crops on the planet. Coffee is sprayed with more pesticides than any other crop outside of tobacco. And, since coffee gains much of its flavor from the soil in which it’s grown, we believe that it’s crucial to ONLY drink organic coffee. 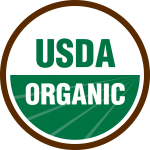 That’s why ALL of our coffees are certified USDA Organic. Shade grown beans contain half of the acidity and caffeine of most conventional coffee. 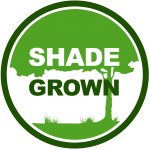 Plus, shade-grown coffee prevents soil erosion and deforestation. By only roasting shade-grown coffee, we can ensure the smoothest and most flavorful cup of coffee. We believe in providing the best coffee possible. That’s why we only roast “The Top 1% Grade” of beans available. These beans are 100% Arabica, lower in caffeine, and a much higher quality than the cheaper Robusta beans. We believe it truly makes a difference – and once you taste it, you’ll believe it, too. 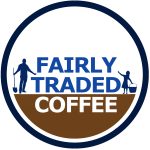 If coffee farmers are not paid a fair price, they can’t continue to cultivate these top quality beans. We want to ensure that our farmers are rewarded according to the fruits of their labor. This is why we pay above the fair trade standard for our green beans. Every Coffee Lovers Club shipment includes free shipping. You can enjoy the convenience of freshly roasted coffee shipped right to your doorstep within days of roasting — not weeks — at no extra cost. No contracts, no commitments, and no hassles means you’re free to cancel at anytime. We know a happy coffee lover is what keeps us in business and sometimes that means you need to take a break. We also know that once you’ve tried Camano Island Coffee it’s really hard to drink anything else. 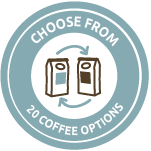 As a club member, you can select any of our 20 coffee varieties for your shipments. Mix and match, go on a roast tour, enjoy the coffee of the month or just stick with your favorite – it’s up to you. Plus, you can change them at anytime in your online account, or by giving us a call. Whether you drink 2 full pots before lunch, or only 1 cup a day, we’ve got the perfect solution for you. 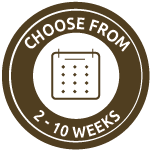 Customize your shipping frequency from every 2 – 10 weeks, so your Coffee Lovers Club can match your coffee habits. Nothing ruins a good cup of coffee more than having it ground improperly for the brew. 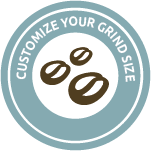 Whether you prefer to grind yourself, or choose from one of our 9 grind options is up to you. Either way, we’ve got you covered. 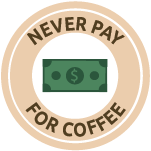 Did you know that if you tell your friends about the Coffee Lover’s Club, you might “Never Pay for Coffee” again? As a Coffee Lovers Club member you have access to our exclusive referral program. For every friend who joins the club — you get $20. And, the best part is there’s no limits.So refer as many friends and family as you want and you may never pay for your own coffee again! Recent research shows coffee is a great source of antioxidants. In fact Americans get more antioxidants from coffee than from any other source. With each sip you could be helping your body support your cardiovascular and nervous systems as well as prevent cancer and fight tooth decay. What’s not to love about that? Do you get heartburn from coffee? Well, you should try Camano Island Coffee. We only roast Shade-Grown and 100% Arabica beans. These beans have much less acidity and half the caffeine content of some other coffees. If you have problems with acid reflux or heartburn then give our coffee a shot. There are many studies that show that drinking coffee every day can improve your brain health. You can fight diseases like Parkinson’s, Alzheimer’s, and other memory loss issues by keeping a few cups of coffee a day in your regular diet. Want an easy way to work on preventing a heart attack, stroke, or other potential heart problems? Drink coffee! Studies show that by drinking coffee every day, you’re helping your heart stay in tip-top shape. Reducing the Risk of Liver Cancer is Easier Than You Thought: Drink Coffee! © 2019 Camano Island Coffee. All Rights Reserved.